Our original fruitcake. Rich, moist, and chewy, with dark raisins and walnuts in a molasses batter, it is generously laced with bourbon. Ingredients: Organic Raisins, Walnuts, Cane Sugar, Wheat Flour, Organic Butter (organic cream, salt), Organic Eggs, Molasses, Milk, Bourbon Whiskey, Baking Powder, Celtic Sea Salt®, Baking Soda, Spice. Best Fruitcake I’ve ever tasted. My family sent me one a few years ago for Christmas and I’ve been hooked ever since. My daughter gave me one of these Abbey Cakes for Christmas about four years ago. My ravings have encouraged her to do likewise each following Christmas. This year, she even gave me one for my birthday — makes me so happy. The Abbey Cake hasi just the right amount of everything. I hope you blessed monks never change your recipe. I have noticed that the price of the Abbey Cake – like everything else in this world – has gone up. Glad my daughter loves me. Nobody even comes close to the jams jellies and cakes the monks make at the Jampot! Costs a few bucks more than your average Joe’s offerings, but the old adage, you get what you pay for, certainly rings true. Nothing tastes more like Christmas than this cake. That said, I’m eating a huge slice right now (Late July) and it’s still perfect. It’s incredibly good and in a class all its own. I’m no fruitcake fan in general, but I would eat this every day if I could. I haven’t gone without it since first tried in 2009. Outstanding! 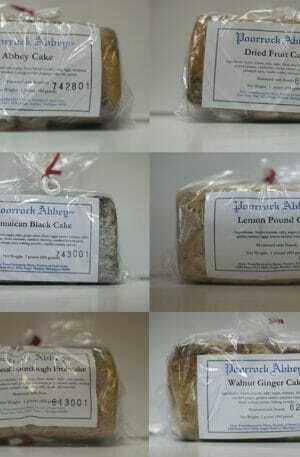 We have enjoyed several abbey cakes in the past few years. They are always perfect and delicious! Just received my first Abby fruitcake, and am curious how best to store until Christmas? 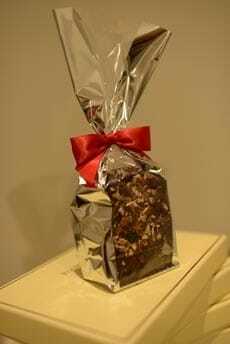 We tried a sample last summer, that caused me to say it was the best fruitcake I have ever enjoyed. 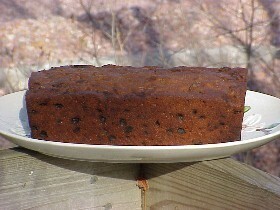 The fruitcake will be fine for several months in a cool place. You may refrigerate if you wish, however, be sure to eat at room temperature. 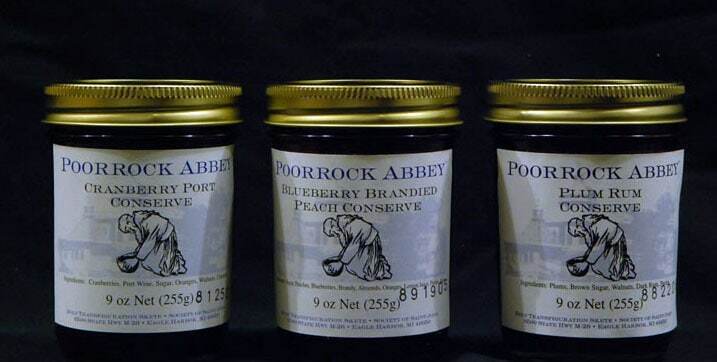 The person’s receiving the Abbey cake will be tasting it when they unwrap the package…but we have enjoyed Abbey Cake at the Jam Pot in person. I first discovered this about 10 years ago. I ordered some more 3 years ago. Somehow one partially eaten cake got shoved to the back of the fridge, carefully wrapped in plastic wrap and put in a plastic bag. I brought it out today, and it is just as good as if it were totally fresh! Must be all that preservative bourbon. This is NOT your standard fruitcake. It is totally delicious. I had it with my favorite coffee. Heavenly. 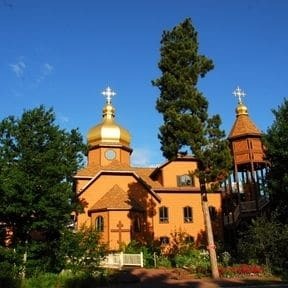 But, what else would expect from a fruitcake made by monks. What a wonderful gift for our family. The aroma is so delightful.